This is a review of a collaboration album between Netherlands's Gnaw Their Tongues and U.S.A's Crowhurst 2 musical projects that have had music reviewed before in this zine and on this recording play a mixture of black metal, experimental and noise and the album is called "Burning Ad Infinitum and will be released in August as a joint effort between Crown & Throne Ltd and Tartarus Records. Harsh noises and power electronics start off the album along with some experimental and avant garde elements while some of the tracks are very long and epic in length along with some tracks also bringing in elements of dark ambient and drone as well as adding in a great amount of soundscapes. Touches of death industrial are also added into the music at times along with some programmed beats while vocals when they are utilized are mostly high pitched black metal screams and when the music gets heavy a decent amount of tremolo picking and blast beats can be heard which also gives the music more of a raw feeling. All of the musical instruments having a very powerful sound to them while the songs also bring in a great mixture of slow, mid paced and fast parts along with of the tracks sound very different from each other and they also mix the noise and experimental elements with black metal and on the closing track a brief use of guitar leads can also be heard and the slower sections of the songs also bring in sludge infleunces. 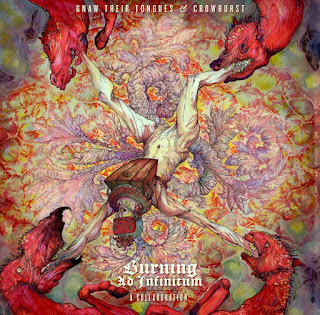 On this recording Gnaw Theit Tongues and Crowhurst take black metal, experimental and noise and mixes them together to create an album that is very different and would not appeal to a large audience but still have a good following in the underground, the production sounds very dark while the lyrics cover dark, violent and perverted themes. In my opinion this is another great sounding recording from both Gnaw Their Tongues and Crowhurst and if you are a fan of black metal, experimental and noise, you should check out this collaboration. 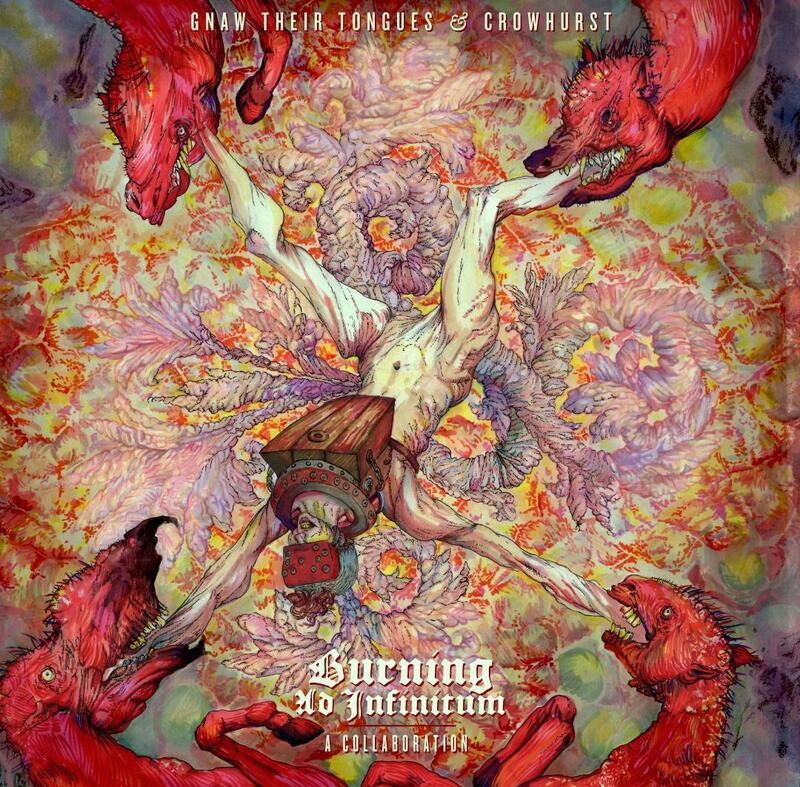 RECOMMENDED TRACKS INCLUDE "Speared Martyr's" and "he Divinity Of Our Great Perversions". 8 out of 10.